Live oaks line the drive leading to this attractive one-story ranch home on 40 unrestricted acres along the San Bernard River. 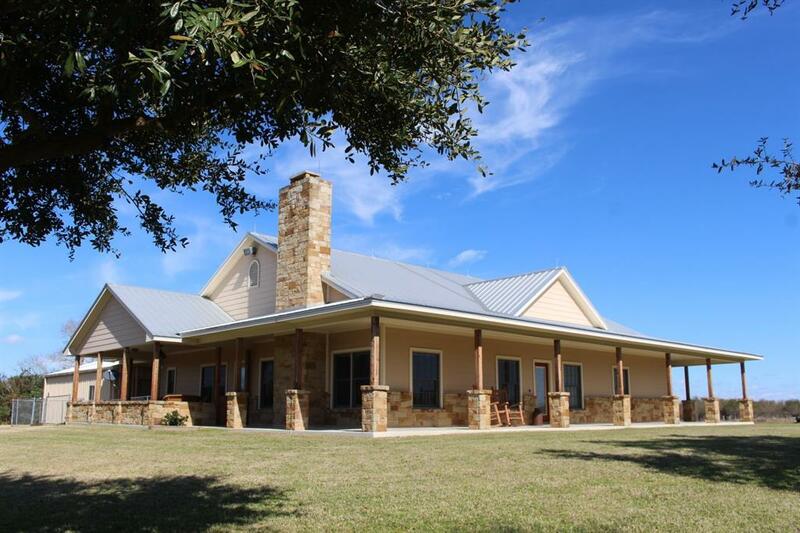 Built in 2009, the 2,632 sf home offers 4 bedrooms, one currently used as an office, 3 full baths, wood-burning stone fireplace, and wide wrap-around porches on three sides. Island kitchen with quartz counter-tops is open to living and dining rooms. Hardwood flooring in the bedrooms. 2-car carport joins the home to the shop, 30x40 on slab with power and three roll-up doors. 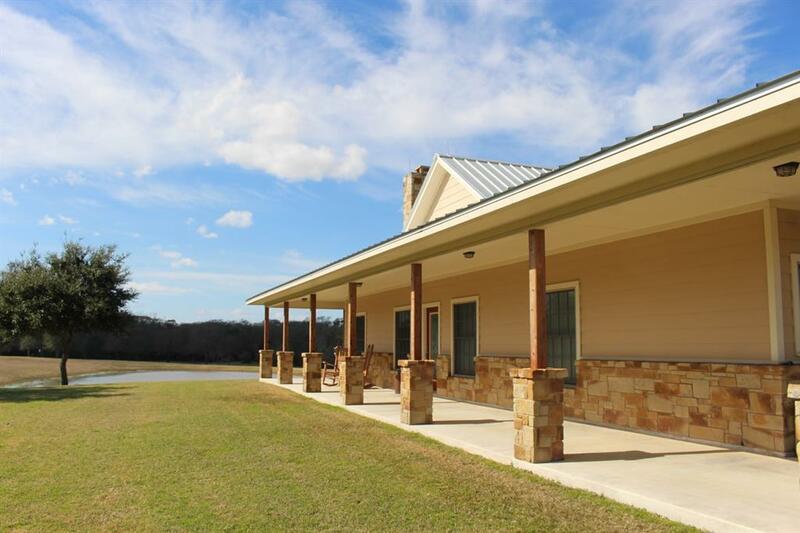 3 stall barn has feed and tack rooms, a cover off the back and a front porch. Next to it is an RV cover, 21x42 with 14 feet clearance. 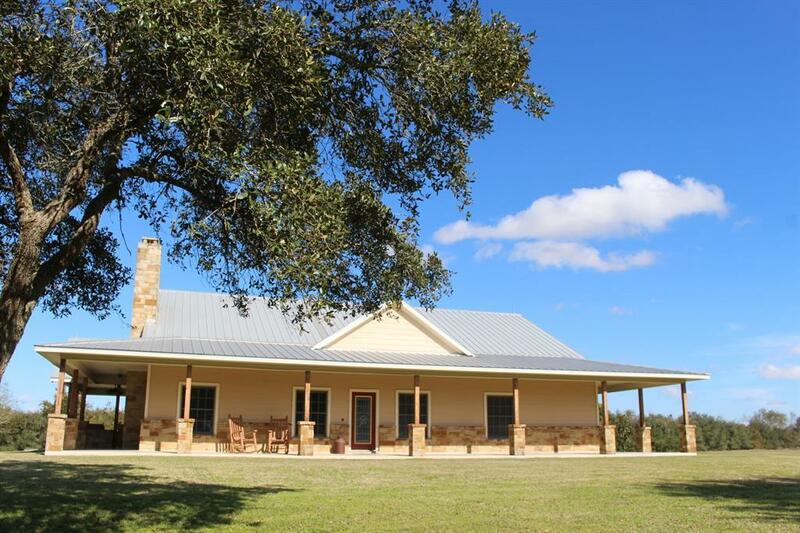 Two fenced pastures await your livestock on the high side of the property. The home overlooks a pond and beyond it the wooded bank of the river. This area offers wonderful wildlife habitat, even though it is in the floodplain. Improvements sit high and dry, have never flooded. 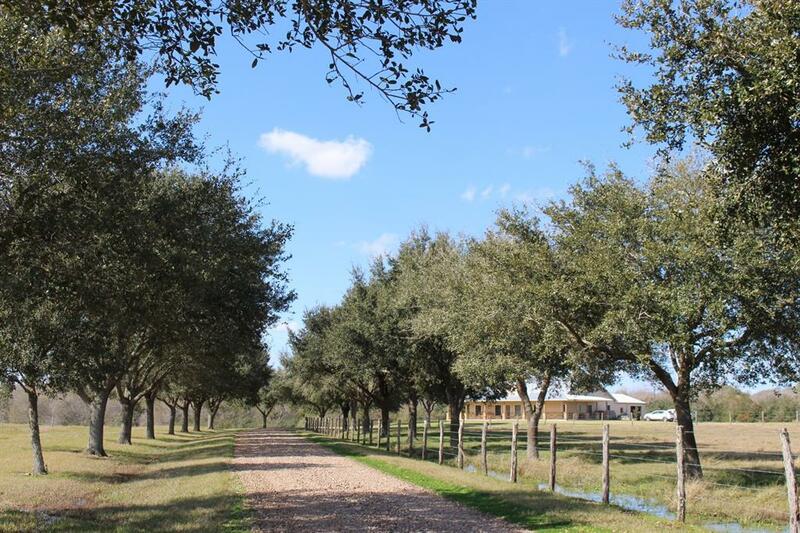 Livestock, hunting, and nature - great variety about 30 min from Sugar Land.